Welcome to the Winter Formula Pond Fish Food superstore! 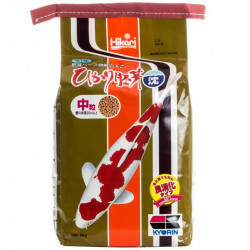 Our selection of specially formulated winter koi foods are loaded with necessary and beneficial ingredients designed to stabilize and support your fishes' metabolism, even in cooler climates. Made from highly digestible wheat germ, these specialized, super efficient foods are designed to prevent overeating and enhance digestibility, for minimal nutrition loss and extremely little waste production. 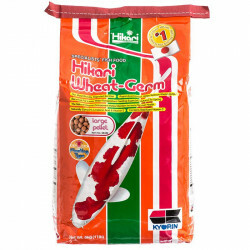 Pet Mountain's Winter Formula Pond Fish Food store features top quality products from Hikari, one of the most trusted names in pond fish care and feeding. 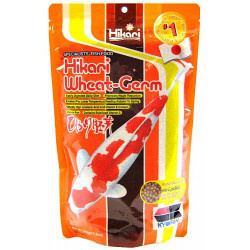 Hikari Wheat Germ Floating Pellet Fish Food is a highly nutritious, floating pellet that is easily assimilated and provides a highly digestible daily diet for Koi and other pond fish, including Goldfish. Developed through many years of breeding experience, this highly nutritious diet is extremely effective in cooler climates which experience a winter season. The floating wheat germ pellets allow for easy monitoring of the amount eaten. The digestibility of this product helps eliminate over-feeding and reduces water quality problems. It contains stabilized Vitamin C which promotes resistance to stress and infectious disease, helping to promote a long, healthy life through excellent daily nutrition. 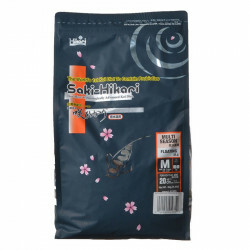 Hikari Saki-Hikari Multi-Season Diet Floating Pellet Koi Food features a revolutionary multi-season diet and contains a patented blend of the best protein, carbohydrates, amino acids and fats to bring out the best in your Koi. This multi-purpose diet provides the proper nutrition, growth and enhanced-color in your Koi. Even in cooler water temperatures, this balanced diet is a great option for feeding your Koi. Saki-Hikari's live naturally occurring microorganisms also help aid in eliminating bad bacteria. 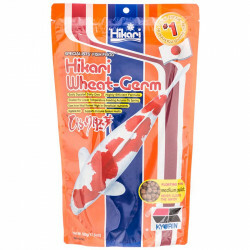 Hikari Wheat Germ Sinking Pellet Fish Food is a highly nutritious, sinking pellet that is easily assimilated and provides a highly digestible daily diet for Koi and other pond fish, including Goldfish.